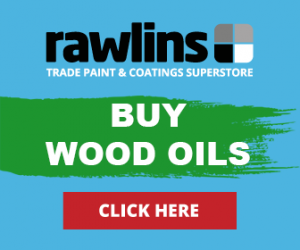 Rawlins Paints receive a lot of calls about wood oils and which are the best finishes for specific interior and exterior woods. It’s a complicated area, due to the wide variety available and many people assume the better known oils can be used on every type of job. They can’t, and if they are applied, they could ruin the wood or create a finish that is completely unsatisfactory. Let’s dive in and answer some commonly asked questions about wood oils, as well as different types of wood oils and which best suit specific woods. If you have any additional questions, please post them in the comments section and we’ll answer, as well as updating this post with suitable replies. How Does Wood Oil Differ from Wood Varnish? What Wood Finishes Can Be Used Over Wood Oil? What are the Different Types of Wood Oil? 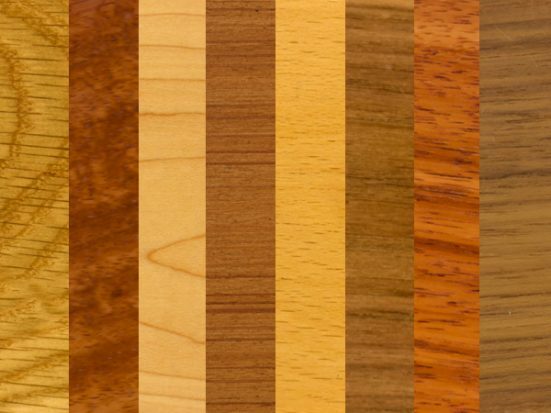 Which Wood Oil Is Best for Specific Wood Types? Wood oil is a protective and decorative wood finish, which can be applied over the top of wood stains or directly to bare wood and timber. Its protective qualities are not as durable as varnishes, but they are heavily favoured by woodworkers for bringing out the wood’s character with a pleasantly contrasting sheen over the wood grain. Please note that as a wood finish, wood oil cannot be easily covered with varnishes or paint. Wood oil penetrates the wood, seeping in to replace and replenish natural oils which may be lost through exposure, age, and general wear and tear. It can also revive a wooden surfaces natural colour, bringing it ‘back to life’. Furniture, yacht decking and more can be transformed with wood oil treatment, and many hotel lobbies’ secret is well oiled surfaces that offer an authentically richly toned, warm and rootsy ambience. By applying layers of wood oil, you are building up a durable and lustrous surface finish that can seal wooden floors and exposed surfaces. Once dried, wooden surfaces that have been treated with wood oil can be easily maintained and kept looking rejuvenated and ‘healthy’. As opposed to high VOC wood varnishes, wood oils are predominantly natural products which are easy to apply, as well as maintain over long periods of time. If you enjoy ‘caring for wood’, an appropriate wood oil could be the best choice of finish, instead of wax or varnish. There are a number of different wood oil finishes, which we will look more in depth at later, with some coming under the umbrella category of furniture oil. If you’re looking for long term protection of newly laid decking, picking the best decking oil could be tricky, but here we’ll tell you what to look for and recommend some leading products available online. Decking oil can enrich and enhance colouring obtained from a decking stain, offering a durable coating that is weather resistant – waterproofing and offering UV exposure protection against greying, bleached out colour and a dull, weathered look come next summer. Most people prefer to keep the natural look of wooden decking, which is where clear decking oil would benefit this job best. A common problem with decking is when edges and grooves start to split and crack. A high quality decking oil can prevent this from happening, making the surface a lot more durable against medium to heavy pedestrian traffic. Timberex Timberguard is designed for the treatment and care of exterior wooden furniture, doors, decking, windows and more. 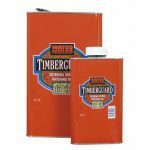 Timberex Timberguard can be used on all wood species and contains UV filters which will slow down the greying process and keep the wood looking fresh. 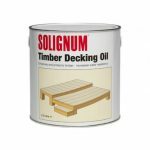 Solignum’s Timber Decking Oil is applied by brush and repels against water damage on timber decking. Easy to apply, this is specialist decking oil specifically for timber. Furniture oils are more generally used on exterior wood furniture, such as benches, tables and chairs in hospitality industries. Garden furniture oil can be used on softwood and hardwoods, giving a high quality and low odour finish. Due to exposure, exterior furniture oil will need to be water resistant and offer some UV resistance. Offering long lasting protection, garden furniture oil sales peak in springtime, getting the external grounds ready for summer! Blackfriar Teak Oil can be used on garden benches and works especially well on Scandinavian furniture. A lot of garden furniture which is left untreated and exposed can suffer from weathered aging and greying of the wood. Blackfriar’s teak oil nourishes and ‘feeds’ the wood, which protects and revives it. Aged wood can also split, which is where this wood oil can help reduce surface splitting damage if applied to new furniture. 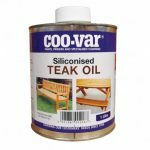 Coo-Var Teak Oil is suitable for a wide range of garden furniture, including tables and chairs, making timber look natural and oiled, with a sheen finish that takes better to hardwoods than that of more traditional wood varnishes. This clear coating teak oil is a blend of natural oils and silicone derivatives. Add water resistance to interior and exterior wooden furniture in hotels and restaurants with this superb wooden furniture oil. 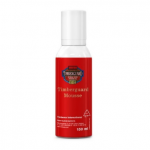 Timberex Timberguard Mousse is an easy to use garden furniture and decking maintenance foam based upon our popular Timberguard Exterior Oil. The mousse contains an active UV-inhibitor, slowing down the bleaching effect from harmful UV-radiation from the sun. 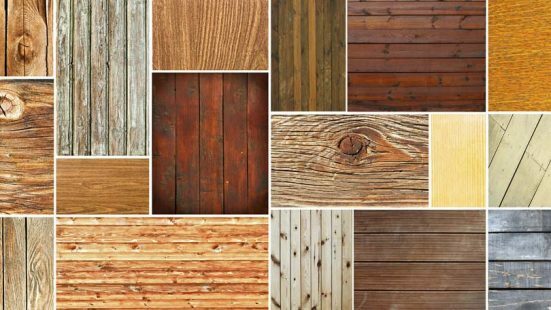 Wooden floor oil can generally be used on solid softwood and hardwood, as well as engineered wooden flooring. Designed to withstand heavy pedestrian traffic, floor oils can come in a range of different finishes to add a durable coating that will last for years. 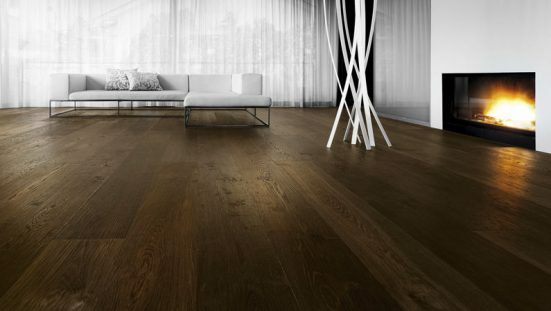 One of the main preferences of wood oil for flooring is that it brings out the grain’s characteristics, adding a totally unique finish to a floor. Designed to add waterproofing protection, against spills and seasonal elements, buy the best wooden floor oil at Rawlins Paints today. 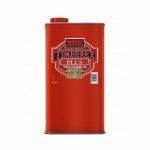 Timberex Heavy-Duty UV PLUS is an improved version of the Heavy-Duty UV wood oil, with improved coverage, smell, water resistance, UV resistance and faster curing. Heavy-Duty UV PLUS uses natural, fast drying oils and resins which penetrate deeply into the wood. Oils provide a deep penetrating, long term and cost effective finish for wooden surfaces. Oils are suitable for busy commercial areas as well as being ideal for domestic situations. Professional, deep penetrating oils can last longer that a thin paint or varnish coating. Oils protect surfaces from spillage even after surface damage. Oils on the whole tend to be more environmentally and user friendly. Be aware that some woods are more absorbent than others and can require different preparation, application and products to be used (see different types of woods later in this article). Most wood varnishes cannot be applied to oiled wooden surfaces, as the varnish cannot adhere to the surface, or penetrate the oil coating. Fire retardant varnishes and paints can also not be applied directly to oiled or waxed wood. To paint over wood that has previously had oil or wax on it, the surface must be thoroughly prepared to remove all traces by a combination of sanding and cleaning using a proprietary cleaner like Timberex Oil & Wax Remover. Wood that requires staining before a finish of wood oil is applied, should be stained with water-based wood stains. Oil based wood stains will seal the wood and the wood oil will not be able to soak in and add a level of protection, as well as the desired finish. 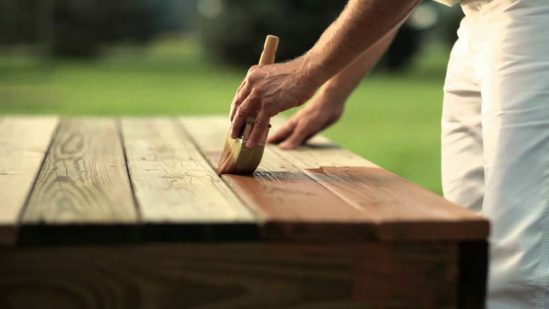 Wood oil is best applied to off-cuts of wood first, if available – such as spare decking or scrap wood that is the same as the surface being oiled. If a wood oil is being used on different woods within an items construction, or within the same room, remember that one oil will give different finishes (visually) to different woods. Due to this, you may need to tint oil used on lighter wood to match darker wood – cedar, for example, is darker than pine. Wood oil should only be applied to wood that has not been sealed – or treated with an oil-based stain. Externally wood that has been finished with an oil may lose its finish due to exposure to the elements, but will stay protected. Interior wood surfaces are much more likely to retain the oiled finish. There are health and safety risks associated with using and applying wood oils. Read about them at the end of this article. Danish oil and teak oil can be applied with a soft brush, rag or piece of cloth, with each applied layer of oil needing to be sanded lightly with fine sandpaper. 3 to 4 coatings of oil should suffice, with excess oil being wiped away after application. Do not leave excess oil, or apply too much oil per coating, as it will not soak in sufficiently. Raw and standard linseed oil takes much longer to dry than other wood oils, and at least 3 to 4 days should be left between coats. New, bare and untreated wood will need at least five coats without sanding between each coating – with some cases requiring more layers. Tung oil application requires a technique known as ‘wet on wet burnishing’. This is a more complicated method and usually handled by professionals. After each coating, the surface needs to be sanded and between 3 and 5 layers applied, with 2 to 3 days drying time between each. If you have previously used a specific wood oil on the wood you are treating, it is best to continue using that oil. New projects or bare and untreated wood can use one of a number of oils, with each giving a different finish and level of lustre. There are specific oils recommended for certain woods, which we look at in more detail below. More of a thin oil and varnish mixture than other wood oils, Danish oil can protect wood against chemical damage, exposure to heat, superficial scratches and stains. Taking approximately 15 minutes to soak into the wood, Danish oil should only be applied one layer per day. Additional layers will build up a thick, durable coating like wood varnish. Noticeable for having a faster drying time than linseed oil, Danish oil works best on new and untreated wood surfaces, giving a lustrous finish. Considered as a compromise between traditional oils and a tougher protective coating against liquid spillages, hard wax oil, also manufactured by Timberex, can be used on hardwood floors and kitchen worktops. Hard wax oil can be mixed with coloured oils and applied by brush or roller, without leaving ‘swirl’ marks. It noticeably enhances the wood’s natural colour and grain, allowing it to naturally age with rich and varying tones. Rawlins Paints recently published an in-depth article about boiled linseed oil. Raw linseed oil is most famously used on cricket bats, taking a long time to soak in and dry out. Previously oiled cricket bats will only need one new coating of linseed oil when re-applied, after having the surface slightly sanded back. During the cricket season it is common for bats to be re-oiled once a month. After the linseed oil has soaked into a surface, wipe away the excess oil and then buff the surface with a clean cloth. To reach a desired finish, several layers of linseed oil may need to be applied, with sufficient drying time between each coat. It is not recommended to use linseed oil on exterior and exposed woods. Mineral oil is a low sheen, non-drying oil that is used by woodworkers. Food safe wood oils are available for use on kitchen cutting boards, and whilst they are non-drying, they can be washed off. Considered more of a wood treatment than a wood finish, due to it being non-drying, mineral oils will not leave a dried and solid film on wood. Light mineral oil can be used on wood crockery, such as ornate bowls. Olive oil is another non-drying wood oil that is vegetable based – similar to peanut oil. Non-drying oils like vegetable oil or olive oil, should never be used on food storage bowls, as they will leave a sticky and smelly finish that will spoil stored food. Suitable for exterior and interior wood surfaces, teak oil beautifies the wood grain, protecting it against UV rays and water stains. When applied to wood, the excess oil should be removed before the teak oil has dried, with additional coats added every 24 hours. It is recommended to maintain teak oil protected surfaces with a fresh layer 1 to 2 times a year. After the finishing layers have been applied and lightly sanded, teak oil can be buffered up to leave a silky smooth surface. 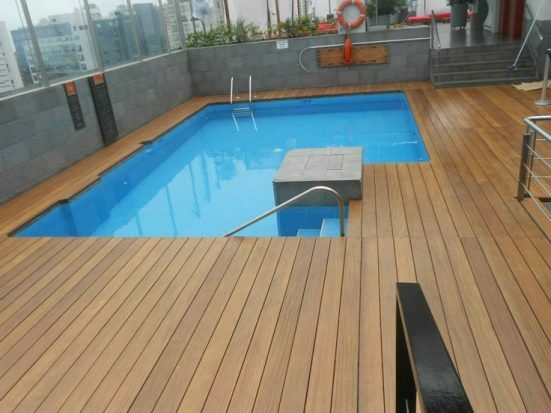 Yacht and boat decking are commonly protected by teak oil. Tung oil is also known as China wood oil, and as with most other oils dries with exposure to air. It’s a plastic like, clear coating that is used away from wood finishing in printing inks and oil paints. When used on guitars, tung oil leaves a wet wood look, that has a slightly golden tint. Often considered to be the finest and most natural finish for wood, it does require a different application process. When it comes to picking the correct wood oil for a job, it can depend on a number of factors, not least the type of wood it is. Picking a specific wood finishing oil could depend on how the wood has previously been treated, whether it is for interior or exterior use and if it will need to be light, medium or heavily durable. Matching a piece of wood’s finish to surrounding décor is also something to take into consideration – if a room has lots of light wood finishes, you may not want a darkening wood oil finish. One big factor of wood oil finishes is their drying time – and no it is not always best to pick the fastest drying wood oil. There’s often a bigger reason for picking a slower drying oil for specific woods – be it furniture, sporting equipment (cricket bats for example are usually treated with ‘slow drying’ raw linseed oil) or decking. The wood’s density, condition (ensuring it doesn’t have woodworm damage, which if it does, Sikagard Woodworm Killer is an excellent treatment) and age can affect how an oil takes to it and the finished shade. There are a number of forums online which discuss suitable and recommended oil finishes for specific woods, and it is recommended doing further research for any specialist furniture or wooden construction away from those discussed in this post – guitars, speaker cabinets, etc. To help keep the natural blonde colour of ash, Danish and teak oil are the best oil finishes, although they can slightly yellow or become richer in dark tones when the wood is exposed to excessive UV light. Some users bleach the wood prior to oiling it, as oil can slightly darken the wood. If you are considering bleaching the wood, or would like more advice about suitable wood oils for ash, please contact us. Bamboo furniture and décor can be finished with teak oil. Beech wood worktops can be finished with Danish oil. Enhancing the natural colour, when restoring old kitchen units and counters, think about applying a fresh layer of Danish oil to truly bring the wood ‘back from the dead’. Linseed oil is the most popular and recommended wood oil finish by woodworkers, cedar cladding users and craft enthusiasts. For interior use, there are options between tung oil, linseed oil and teak oil. These three are great penetrating oils and whilst they will not leave a glassy sheen on the mahogany, they can be buffed up to produce a more brilliant finish. Tung oil or linseed oil can be used to finish maple and to bring out the curly, or tiger grain of the wood. Tung oil can be used on oak to maintain its colour, however, if you wish to darken the oak then hard wax oil is preferable. Danish oil is popular as a finish on oak as it brings out its rich tones, as well as preventing staining to the surface. For pine dining tables, raw linseed oil is the best choice, as it will not contaminate food substances. Slightly more difficult to apply than raw linseed oil is tung oil, which is also water resistant. Danish oil will offer the most durable finish for pine furniture, although walnut oil could be used to bring out a slightly different finish in the wood. Raw linseed oil or teak oil can bring out the strong colour of rosewood furniture. Wood oil shouldn’t be applied to outdoor wooden furniture, but for indoor use, specialised teak oil can be applied to teak wood – note that teak oil is not made out of teak. More commonly, linseed oil or tung oil is preferred by woodworking professionals. Tung oil will help darken the grain and protect walnut, with a bold and striking finish. As with cricket bats, willow is best finished with raw linseed oil. Wood oil that has been applied to flooring can be removed using a heavy duty sander. As wood oil doesn’t soak deeply into timber, the top layer can be sanded back as much as possible to reveal the bare wood, allowing for a varnish, paint or other oil to be applied that can adhere to it. Wood oil is flammable and application equipment – wet brushes and rags – can generate heat as the oil cures (dries). Cloths and rags should be left to dry flat on concrete surfaces, but not exposed to strong sunlight or heat generating sources (radiators, for example), and never left scrunched or rolled up. Do not dispose of used cloths before they have thoroughly dried out, as they can cause fire. I’ve used danish oil as a coating on an oak table, but after many months it still picks up ink from having the morning newspaper spread out on it. Any suggestions? Perhaps a hard wax oil top coat? We have not heard of this type of effect happening with any of the Danish Oils we supply. For example the Blackfriar Danish Oil does dry completely to a hard finish, there are no ingredients which might remain tacky. A hard Wax Oil may not make much difference but you could try it. Otherwise Blackfriar Polyurethane Varnish in satin finish could be tried. This should go over the Danish Oil no problem. Clean the surface first by removing any newspaper ink using a methylated spirits. Apply 1 coat of the Polyurethane varnish. Protect the coating from newsprint etc for a full 5 days to ensure the coating has fully cured. I’m making a pair of doors for a beach hut using sweet chestnut. The hut is south facing and obviously exposed to the elements although slightly protected as it is on the Solent. I’m thinking of oiling the doors. Is this sensible and if so which product would you recommend? Many apologies for the delayed response. If you are still looking for a product for this project, we recommend Timberex Timberguard. If there’s anything else we can help you with, please do let us know. Which oil should I use on tropical hardwood (unknown which) windows (exterior). They were already installed in the house I bought ten years ago and had been treated with something ….. I’ve not applied anything since but they’ve begun to look worse and worse. Sun and weather created bad stains – combination of deteriorated earlier oils/varnishes, and fungal. I’ve now heavily wire brushed them and they look much better (most stains removed) but are totally bare. WHAT shall I put on them to preserve? if anything? Apologies for the delayed response. We would recommend Timberex Timberguard to achieve what is required.